Memphis is the 4th largest inland port in America, so it makes sense to expose and educate high school students about career opportunities on the River. On Friday Apr. 24, that happened. It was the 1st Annual "Who Works the Rivers" program in Memphis. 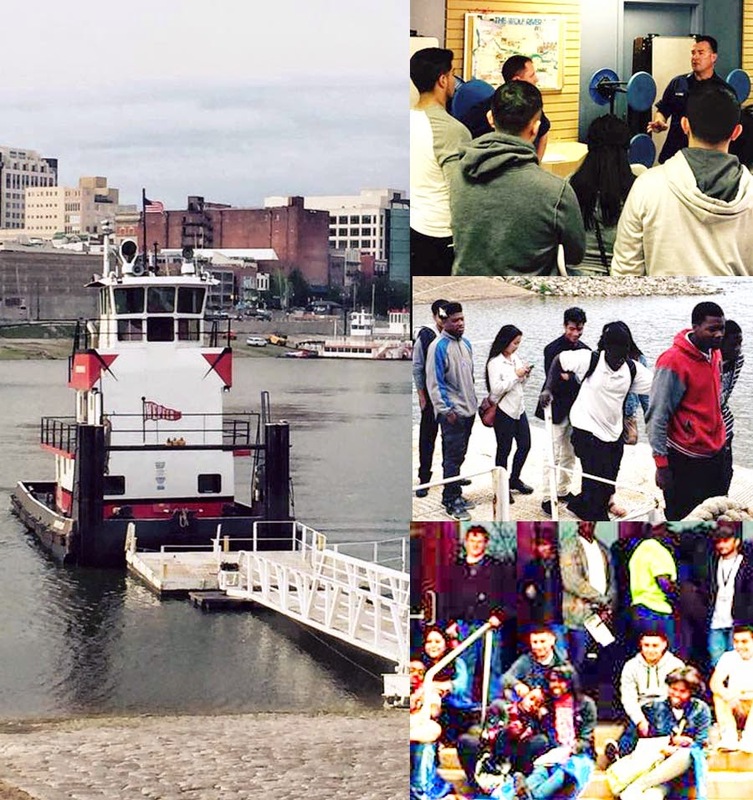 100 students toured a Wepfer Marine towboat, took a hike down the "Mini MS riverwalk," visited the MS River Museum @ MI River Park, and met representatives from waterways industries to learn about maritime jobs and careers. In New York City, there's a full-time version. The Harbor School is a public high school on Governor's Island that offers a maritime curriculum to educate and prepare students in marine science and technology. As Memphis focuses on jobs for the future, the 1-day workshop looks like fun and a great step in that direction. Sponsors and career fair participants were Wepfer Marine, ACL - American Commercial Lines LLC, Dickson Marine, Economy Boat Store, Fullen Dock and Warehouse, International Port of Memphis, Lucy Woodstock Marine Terminal, Mid-South Community College, The Seamen's Church Institute, Memphis District Corps of Engineers, and United States Coast Guard. Chick-fil-A provided lunch.